Site visits are an essential part of a home care provider’s day-to-day services, but also one of the most costly. 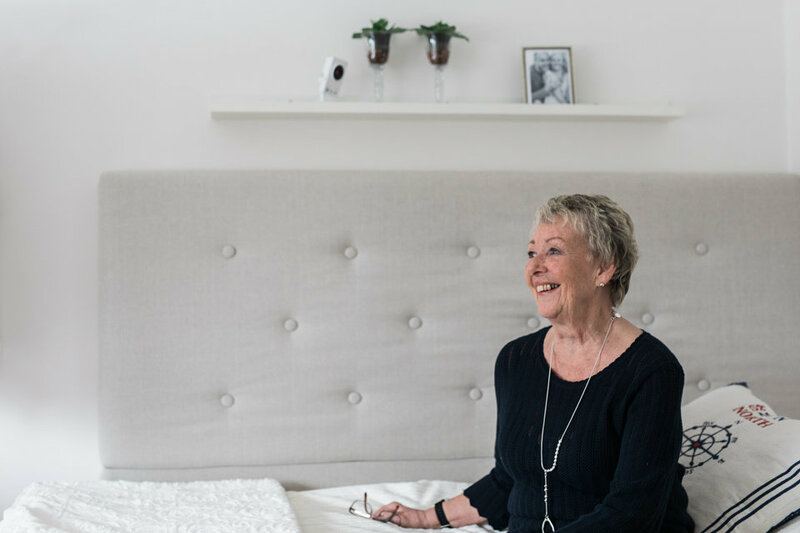 We offer a package solution incorporating welfare technology for the user’s home which enables staff to provide higher standards and a more efficient service, while devoting more time to users. This is all delivered under the Phoniro Care umbrella, ensuring a high level of security, confidentiality and traceability. Users benefit from an undisturbed night’s sleep and can be monitored more effectively by staff. Night-time visits are one of the most costly activities for home care providers, as they only last a few minutes but require considerable travel time as well as dual staffing. Digital night monitoring allows staff to connect to a camera in the user’s bedroom via an online interface. Many users say night monitoring by camera is less of an ordeal and an invasion of privacy than being visited in their bedroom by staff while asleep, with the risk of being awoken. As part of the Phoniro Care platform, the solution provides a high level of information security (accuracy, traceability, confidentiality and accessibility). No recordings are made, and only staff with the required authorization may connect to the user’s camera during agreed periods.